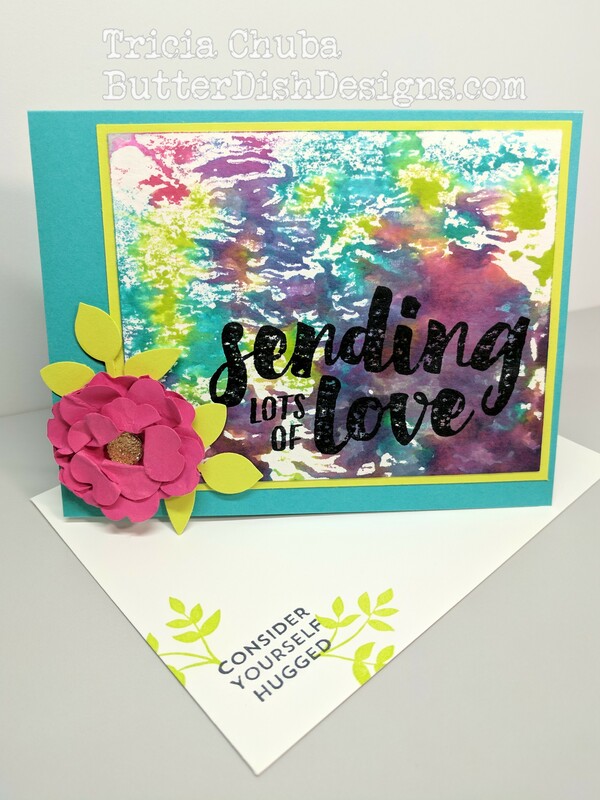 Sending Lots of Love is a big bold beautiful statement stamp from the Lots of Love set. It says a lot so I simply stamped it on a beautiful watercolor background and accented it with a flower. Take the tracing paper and fold it in half. Take your lightest ink refill and drop and/or swirl onto the tracing paper. Don’t over do it. 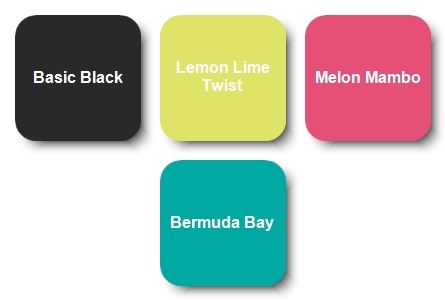 Take the next lightest ink refill color and do the same. Then repeat with the darkest. Note that there should be space between all of your drops and don’t over do it with the dark color as it gets muddy. Take your Stampin’ Spritzer with the water 20% / rubbing alcohol 80% mixture in it and spritz the ink refill drops and swirls generously until the colors start to run and bleed together. 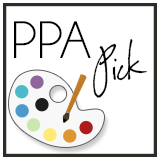 Take your watercolor paper that is cut down to the size you need for your card front and lay it down on the ink. Take the other half of the tracing paper and fold close over the watercolor paper. Rub your hands over the closed tracing paper. Open and lift off the watercolor paper. You will have a very unique background. Make sure it is completely dry prior to stamp over the color. /you can use a heat gun for a quicker drying time if so desired. This entry was posted in Technique, Watecolor and tagged ButterDish Designs, Lots of Love Stamp Set, Stampin' Up!, Stampin' Up! Demonstrator, Watercolor. Bookmark the permalink.